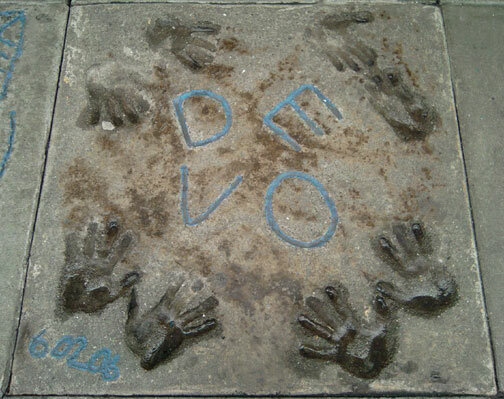 DEVO's handprints in the sidewalk at The Diva Hotel. DEVO was invited to sign the hotel's Sidewalk Of Fame in June, 2006. That day was officially declared DEVO DAY by the board of supervisors of the city & county of San Francisco.